Straight forward hair cut. Friendly. I've been going to Glow for years. And wouldn't change. Apart from the great cuts and the great colour, it's friendly , relaxing, personal, attentive and a really attentive individual experience. Lucy and the crowd as Glow get full marks from me. Amazing hairdresser always recommending everyone to Rachel. Fantastic friendly service as always. 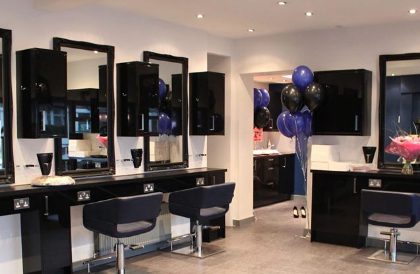 Professional salon with high standards in all areas of hairdressing as well as grest customer care. The ladies at this salon are amazing. Friendly, skilled and creative. I'm so pleased with my hair colour and cut and will definitely be visiting again. I have been going to Glow for several years now, due to a friends recommendation. I now couldn't think of going anywhere else. Rachel & Lucy are fabulous colourists and hairstylists that have never let me down and deliver great results every time. It's really lovely receiving compliments on my hair colour and hair cuts from my husband, friends and occasionally complete strangers. When I first attended the Glow salon my hair was in really bad condition, they have advised me on the best products for my hair, given me styling tips, re-designed my hair several times and make me feel really welcome. They offer quality everytme. Their pricing is fair for the results they deliver. All the assistants are charming, bright and friendly. Right people , right place .